Big Red Car here on a gloomy Monday in America (haha, Texas, really). The rains stopped and yesterday was sunny, but it’s gray today. Getting cold (58F). Today, the country feels divided. Divided by things political and a number of important issues. We have mid-term elections in a couple of weeks and, today, early voting starts in Texas. Are we really divided? I don’t want to answer that question, but I do want to suggest that part of the solution is to go take a look at our country. Not your city, your neighborhood — the country. If you live in a big state like Texas (On Earth as it is in Texas, y’all) then go around your state. If you live in a tiny state like Maryland, then you have to go to other states. Discover America. 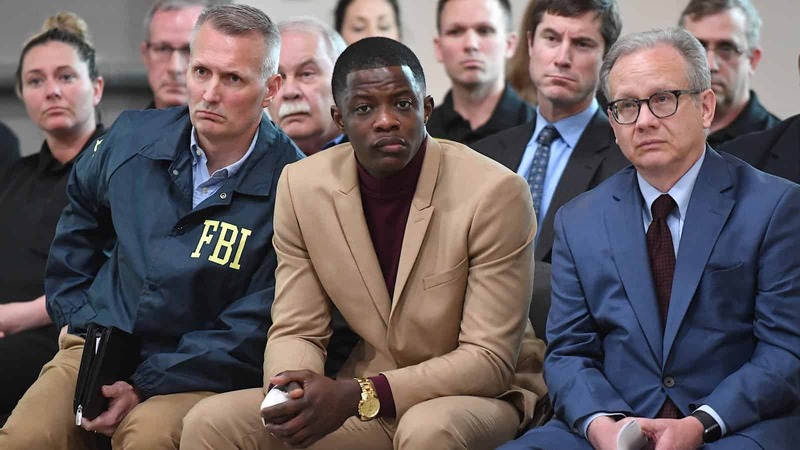 James Shaw Jr. is an American hero. Let me tell you about him, may I? On this night, this man refused to die in a Waffle House at 3:30 AM. He refused to accept his fate. He took matters into his own, capable, strong hands. His actions saved lives, most importantly, his own. He is a great American. The Antioch Waffle House shooting was an enormous tragedy, but from it emerged an interesting story – that of James Shaw Jr, an unlikely hero who went mano-a-mano with the gunman and wrestled his weapon from him, throwing it behind the Waffle House countertop thereby stopping the killing spree. At 3:30 AM in a Waffle House in Antioch, Tennessee this man found out who he was and he let us in on the secret. James is a reluctant hero who makes no bones about the proposition that he was acting in his own self-interest. Faced with the highly likely proposition of death, James refused to go quietly into that dark night. If the gunman was going to kill him, it would not be without a fight. It is a strikingly American thought. We Americans will not go without a fight. What did he do? He attacked the gunman when the gunman was dealing with his weapon – not clear whether the gunman was dealing with a jam or re-loading. James was smart. James picked his moment and acted. Veterans have a special attachment to the American flag. Allow me to explain why. 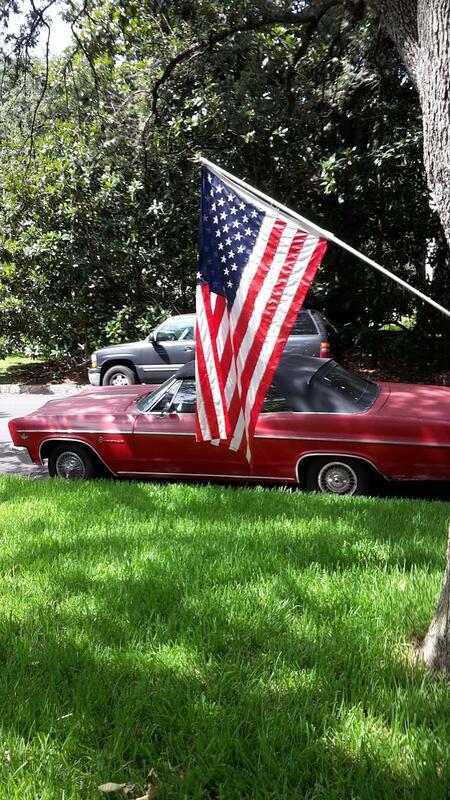 Big Red Car here in a cloudy Austin By God Texas day with some reflections from a veteran on the flag of our great country. This is written to explain how enraged veterans may be over recent events which they interpret to be disrespectful to the flag under which they served and, by reference, disrespectful to them. The Big Red Car is not doing missionary work here, not trying to espouse a view, but trying to provide information for you to be able to understand how a veteran might feel about this. “I want you to see how this became about the flag, the Star-Spangled Banner, veterans, and patriotism. It is not an illogical conclusion,” said your Big Red Car. His words are the glue that attaches his protest to the flag. The flag was being displayed during the playing of the Star-Spangled Banner. There is no necessity to look for linkages to the flag and the Star-Spangled Banner, they were there from the beginning. They were put there by Colin Kaepernick. In this manner, Kaepernick drew attention to the idea that policemen killing innocent people should not be tolerated. He fleshed this out in numerous statements which identified specific police killings of black men. Let’s stop for a second and reason together. Regardless of whether one agrees with Kaepernick’s actions, is there anyone in favor of cops killing black men? As a foundation value, that is not particularly controversial. Nobody wants cops killing anybody, if it can be avoided. The US budget, Big Red Car? Couldn’t you come up with anything more boring? Big Red Car here on a perfectly delightful Texas day — convertible weather, y’all. This week the Congress passed a CR (continuing resolution) to fund the government through the end of September when the government’s fiscal year ends. It was a piece o’ crap, but that is not the story today. The story is what is a continuing resolution?